Whether you are diving into some crazy deals as retailers close out their cold weather options or looking for some spring inspiration, I've got you covered. I don't know about you; but I'm torn between two lovers, as they say. I'm elated to see all my favorite brands and retailers offering incredible deals as they make room for new inventory. Waking up to rain makes these deals even more appealing. And yet, I'm also pining for warm weather and the recent sun-breaks keep me coming back for more. 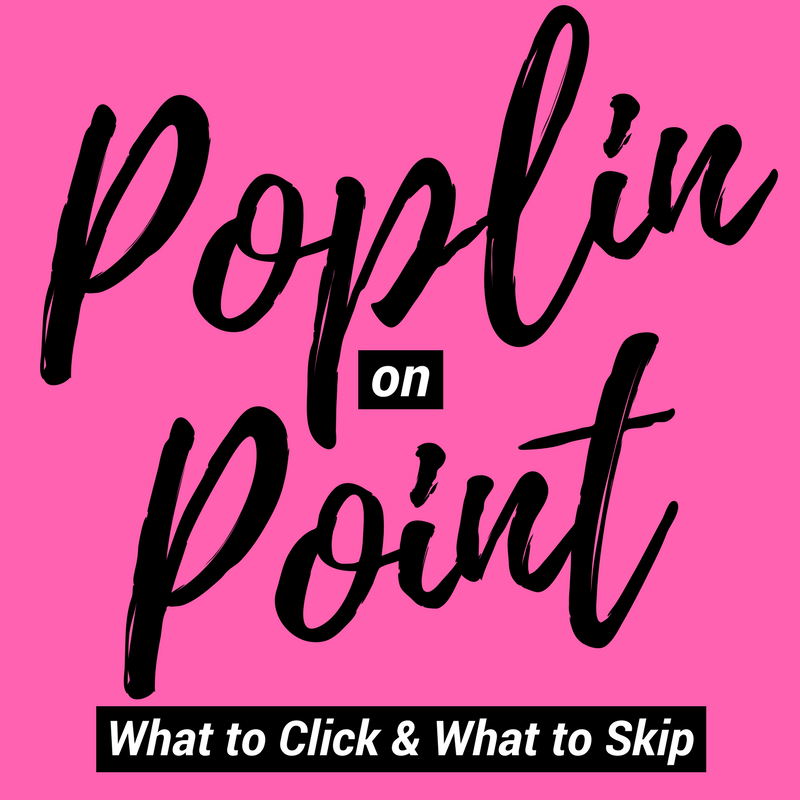 So, this week's Poplin on Point email is all about embracing the two. If you are on the Poplin email list, you received this info yesterday, ahead of the general public. Not on the list? Sign up for weekly emails, six weeks of style tips and to be entered into giveaways from our favorite brands and retailers. That's just the beginning. Click here and you'll see some of my favorite items for Winter and Spring. If you are looking for more, check out Poplin on Pinterest with new products added every day. Enjoy!